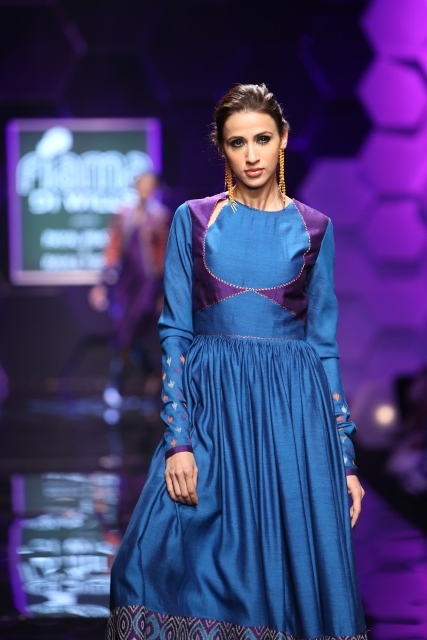 Continuing his Rajputana theme this season designer, Samant Chauhan was inspired by romance and illusion and thus ‘dream’. 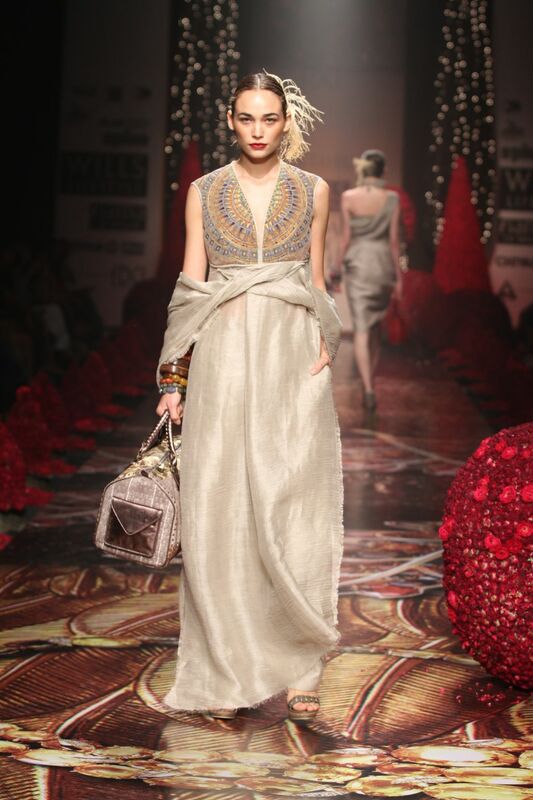 Samant has a loyal band of followers and stockists sprawled across India and the Middle East and I’m sure they loved the intricate antique-look thread embroidery which is turning into a bit of a trend for next season. 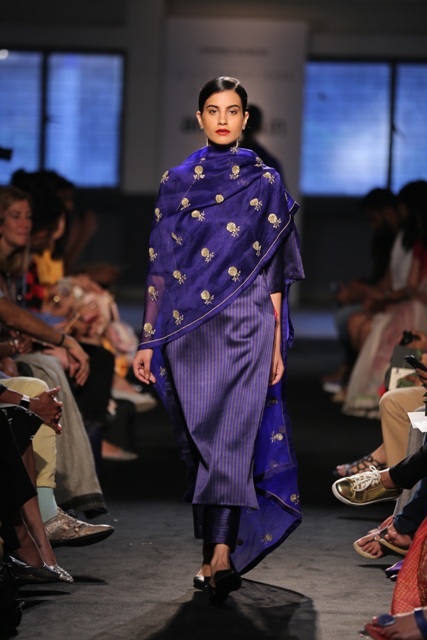 ‘Some travels take you so far that even when you return you are gone forever…probably it’s then they call it a journey’…the Rajputana Traveller. 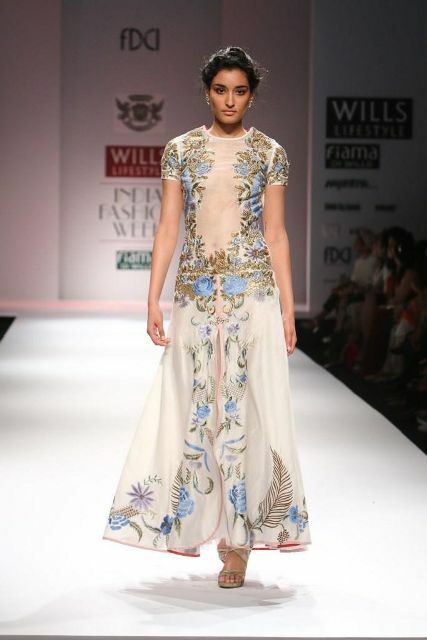 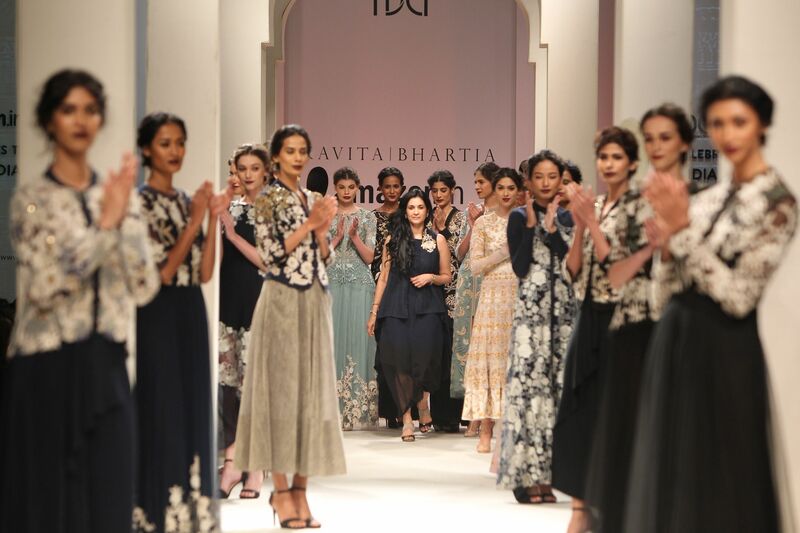 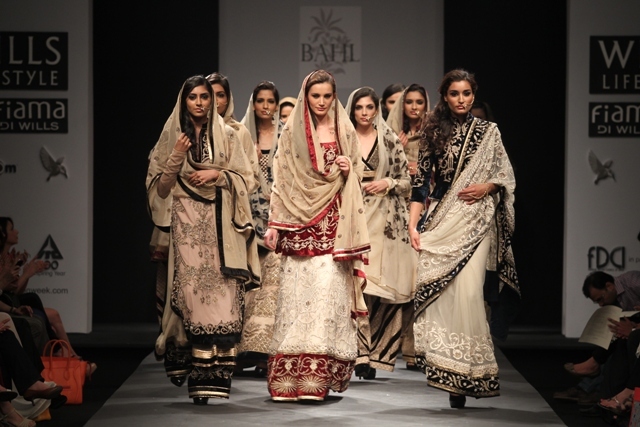 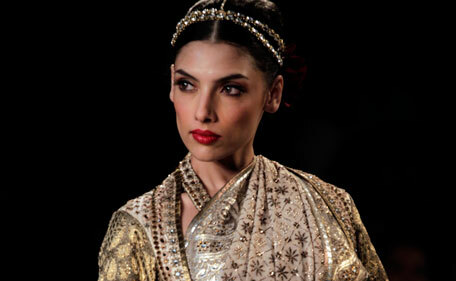 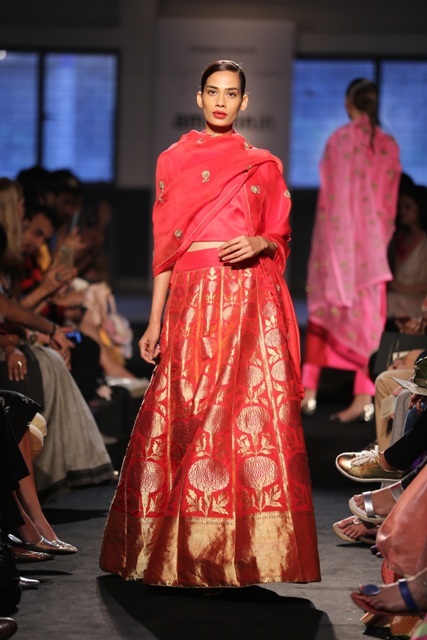 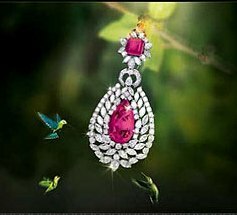 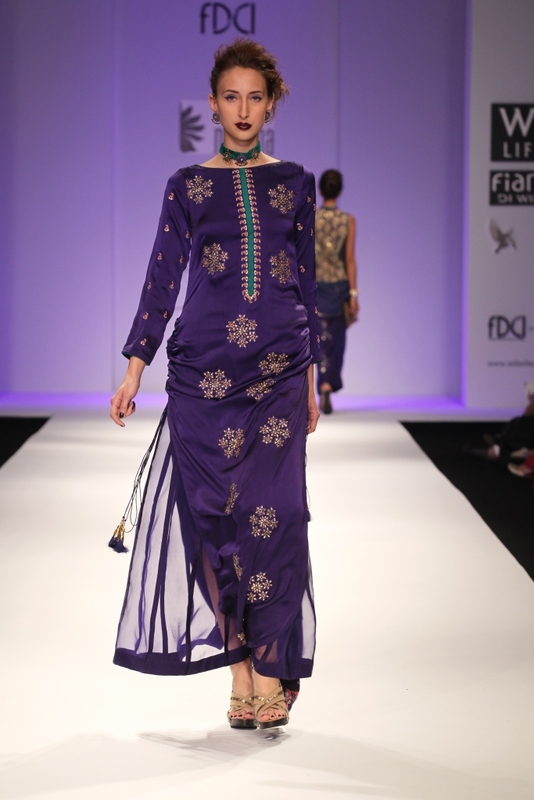 Designer, Samant Chauhan grows in confidence each season with new chapters from his Rajputana fashion series. 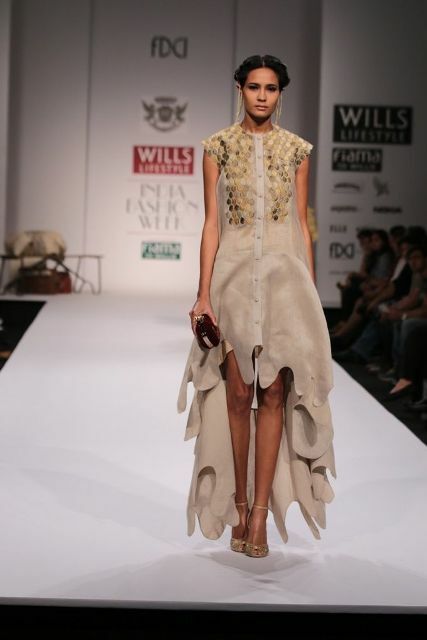 Continually drawing on inspiration from his native Indian state he keeps the collection looking bold and structured yet incredibly feminine. 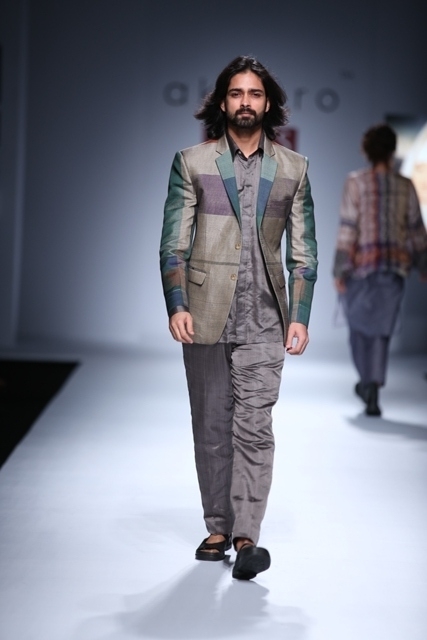 Raakesh Agarvwal showed a collection unlike any other (this was apparent even though it was still only day 1). 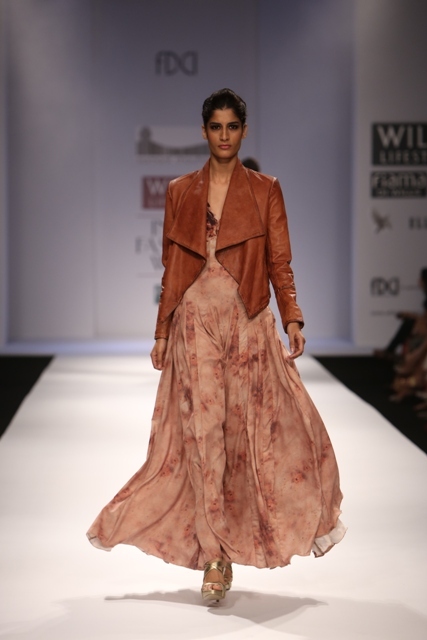 Leather, audacious glamour and lots of skin meant this was a collection for younger women unaffected by silly things such as Winter. 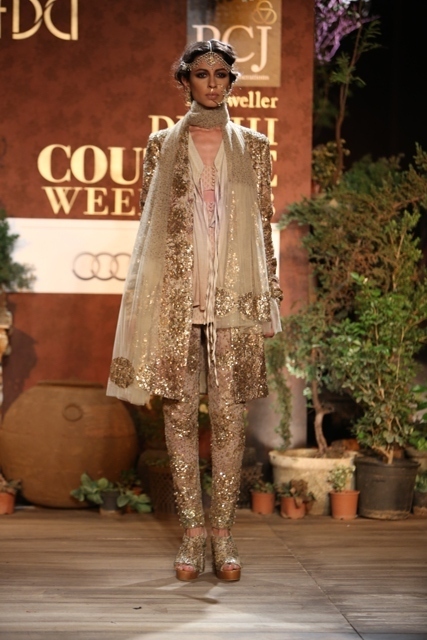 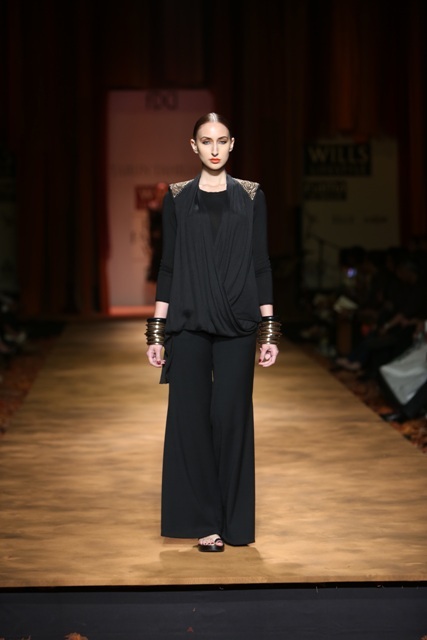 Alpana Neeraj presented a heavy metal futuristic collection inspired by gothic glamour. 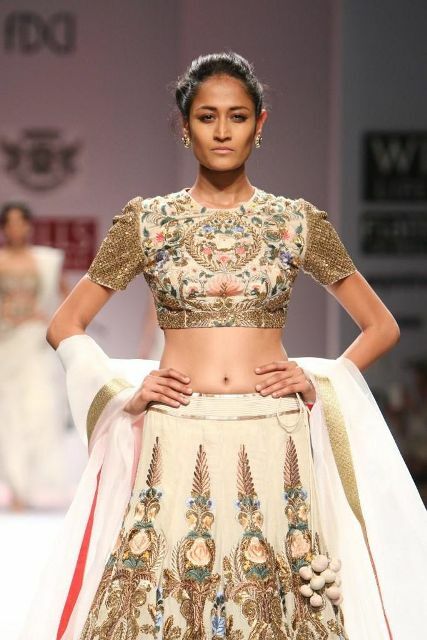 This girl is from the future and like all sci-fi babes she has the perfect figure to carry the look. 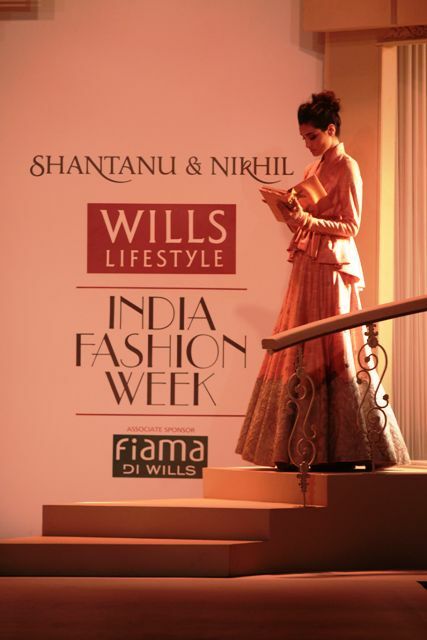 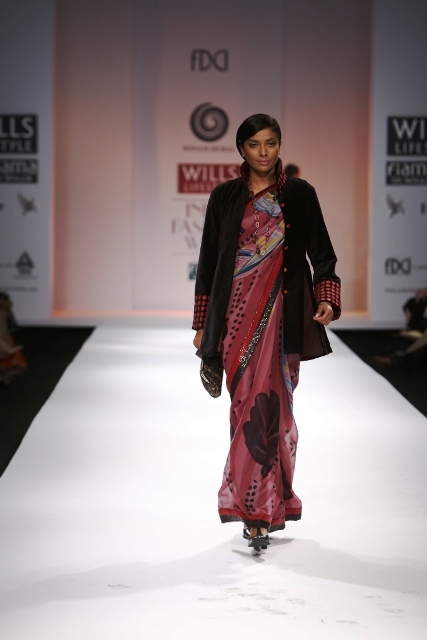 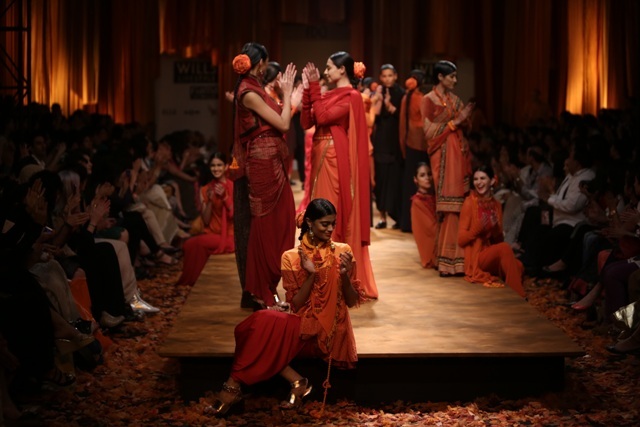 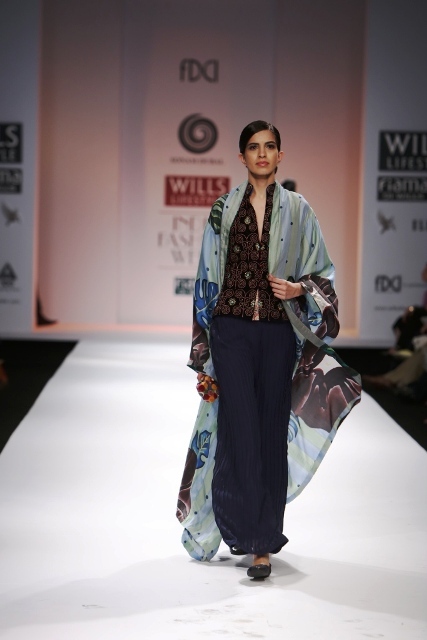 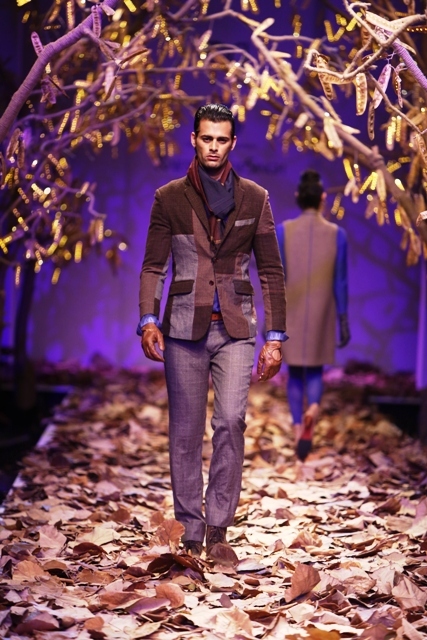 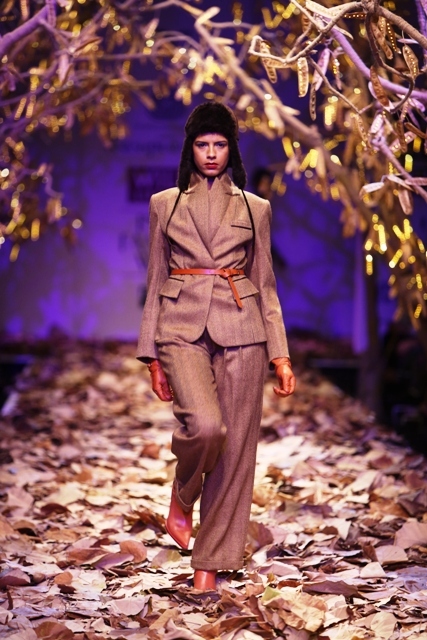 Day 1 at Wills Lifestyle India Fashion Week Autumn/Winter 2013 began yesterday and as promised the reviews and photos start here! 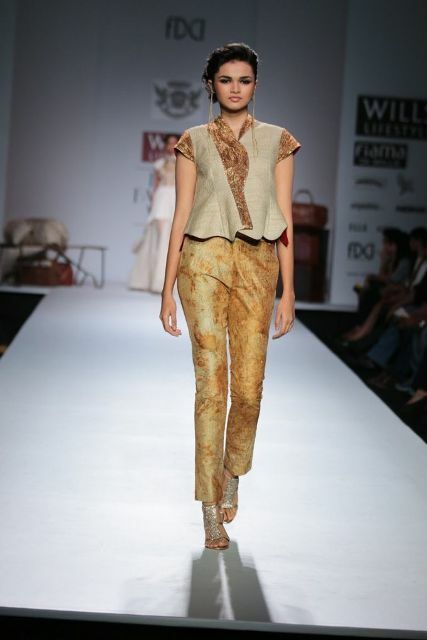 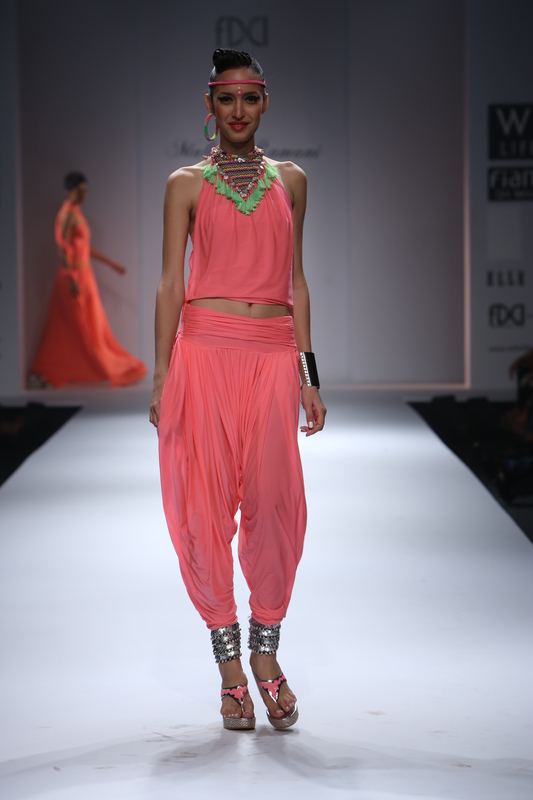 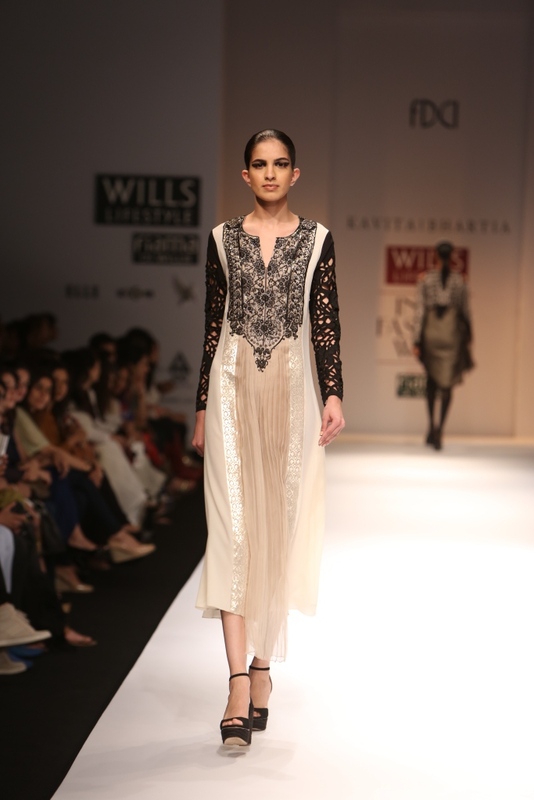 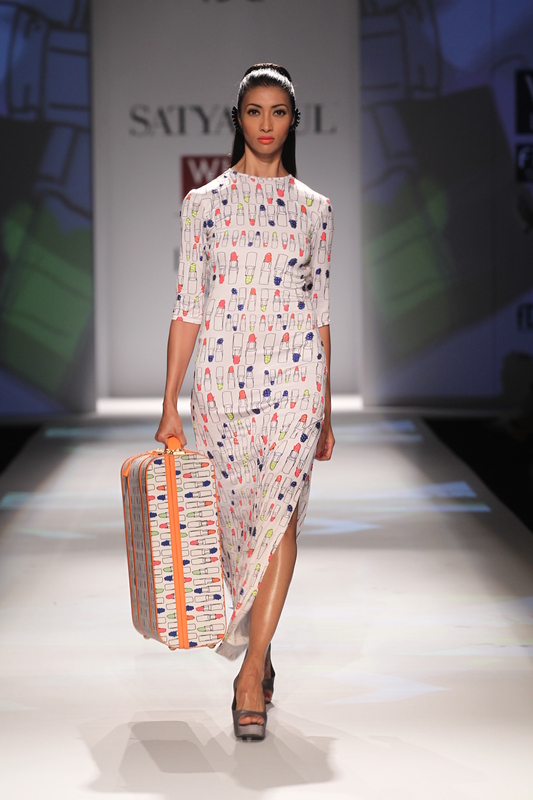 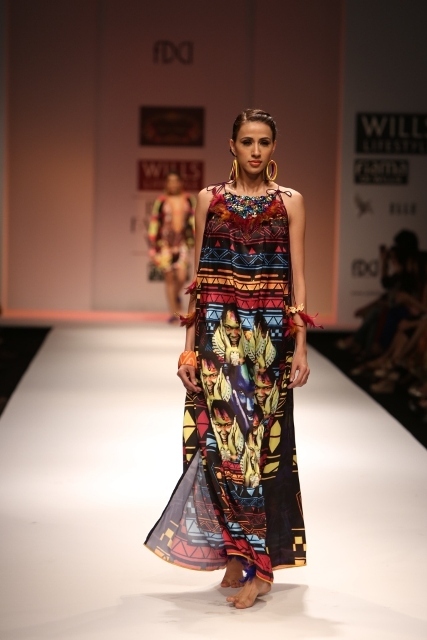 A designer adept at resort wear, Malini Ramani, asks us to envisage the end of the world as we know it. 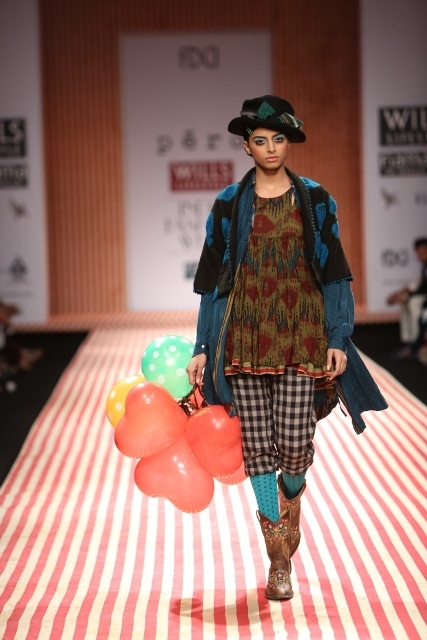 The animals are all but gone but a new tribe of people come unto the world called Warriors of the Rainbow that like colour and print; despite the bleak situation!